Do you want to work with animals while also experiencing one of the most gorgeous places in Mexico? If so, volunteering with turtle conservation is the project for you. Over the last few decades the sea turtle population has been in peril. Nevertheless, through this project and others like it, there have been positive results in rehabilitating the sea turtle population and their environment. You will be helping the several species of sea turtles that call the beaches of the Colima region home. You will be working on preserving their habitat, educating others, and working directly with local professionals. It is a fantastic opportunity to see the rewards of nature conservation. Specifically, the Olive Ridley sea turtles that come offshore to lay eggs on the beaches of Mexico are six of the seven species of sea turtles that are threatened. Major threats to sea turtles come from destruction and alteration of nesting and foraging habitats, incidental capture in commercial and recreational fisheries, and entanglement in marine debris and vessel strikes. To counter some of these treats, RCDP is connecting volunteers to the beaches in Mexico where the number of turtles coming to lay eggs continue to decline very rapidly. The local fishermen have documented this issue over the period of 25 years. This alarming rate of decline has spurred the local fishermen themselves to protect the turtle eggs and build hatcheries. They, however, need all the help they can get from dedicated volunteers to fight for this cause. When you volunteer with the sea turtle project, you will be actively helping these turtles and protecting the future of their environment. You do not need to be a student of marine biology or a biologist to volunteer in the project. Anyone wanting to experience conservation of turtles and enjoy the landscape is welcomed to volunteer. Spanish is not a requirement to volunteer but if you can speak and understand Spanish, you will be able to communicated better with the local staff and the children. There are a lot of different jobs for volunteers to do. Volunteers will work on a 10 kilometer stretch of the beach where you will survey the area for suitable habitat, capture and release the animals, radio tag them, follow their movements and study their habits. You will survey both at night and during the day. Daytime work at the camp includes cleaning out nests that have already hatched, saving any hatchlings that may be trapped at the bottom and preventing contamination of the area. Volunteers may also be involved in environmental education programs, and other wildlife monitoring in the area, such as compiling a species list for the area and monitoring the local crocodile populations. The project is located on a beautiful beach on the Pacific Coast of Mexico. The area is known as Campamento Majahuas. This is a very rural and a quite place, with local communities staying close by. The camp is located on the beach in an area between the sea and the lagoon. The facilities will be very basic but volunteers will enjoy the landscape, pristine nature and the hospitality of the local people. You will be provided with three meals a day which in the camp by the volunteers/staff. One large meal is prepared at lunch by the local community. During free time, you will have many opportunities to explore the local environment. The camp is isolated, but surrounded by beaches and nature. Free time is usually spent resting, reading, walking, or playing games with other volunteers such as volleyball, football etc. There are also opportunities to take a break for a few days and visit Melaque or Puerto Vallarta. These locations are located about 2 hours away by bus. 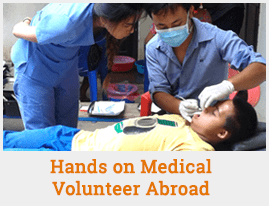 The costs for those trips must be provided through the volunteer and are optional.